Imagine... In Honolulu, a mentally ill man checks out "John Lennon: One Day at a Time" from a public library, and becomes convinced that Lennon is a hypocrite. He becomes frustrated and decided that the solution to his mental instability would be to kill John Lennon. On October 29, this man flys to New York from Honolulu carrying a pistol, but no ammunition. He immediately visits the Dakota and returns there for five days straight. On November 11, he calls his wife in Honolulu and admits that he had been planning to murder John Lennon. She convinces her husband to fly home. But he returns to New York again December 5, after a short stay with his grandmother in Chicago. Lennon announces that he had spent the last five years as a happy, secure husband and father. A few days later, on December 8, 1980, around 5PM, John autographs a copy of "Double Fantasy" for this mentally ill man from Honolulu. The sick man, standing with an open mouth, appears amazed that he has met John. John asks him, "Is that all you want?" All the sick man can reply is with, "Thanks, John". Hours later, this mentally ill man is still standing outside the Dakota. 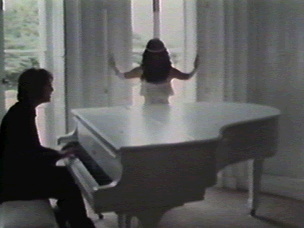 As John and Yoko return home, the man calls out, "Mr. Lennon." As John turns toward the voice, he is shot five times in the shoulders and back. He struggles to the security guard's office, and collapses crying, "I'm shot, I'm shot." Police arrive immediately and put Lennon in the car to bring him to the nearest hospital, but when asked if he knows who he is, he cannot reply. Ten minutes after the shooting occurrs, Lennon arrives at Roosevelt Hospital. Unfortunately, the damage wis extreme. John Winston Ono Lennon, having bled severely, is announced dead on arrival... Does it seem possible? Well, it happened. Remember Love. Remember Life. Remember Lennon. My love, I am speechless. All I can ask is why...Why did this happen to you? Why did that deranged fan do that? Why the worst possible thing ever? Why did it have to happen then? Why did it have to happen before I was born? Why did it have to happen at all? Why didn't I get to say goodbye?